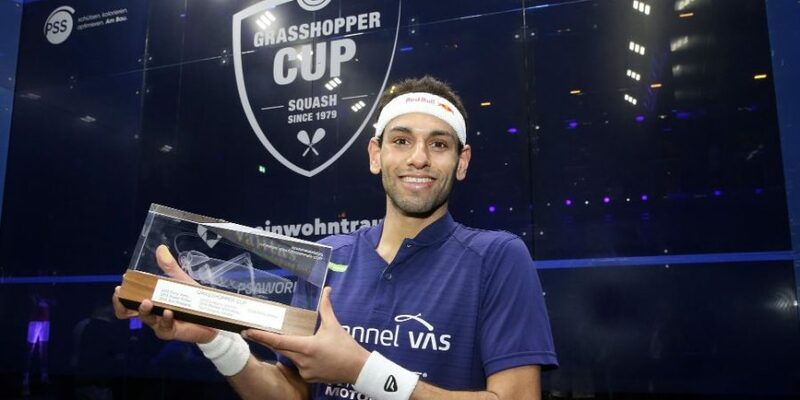 World No.2 Mohamed ElShorbagy is the 2019 Grasshopper Cup champion after getting the better of fellow Egyptian Tarek Momen in the final of the PSA World Tour Gold tournament at Zurich’s Halle 622. 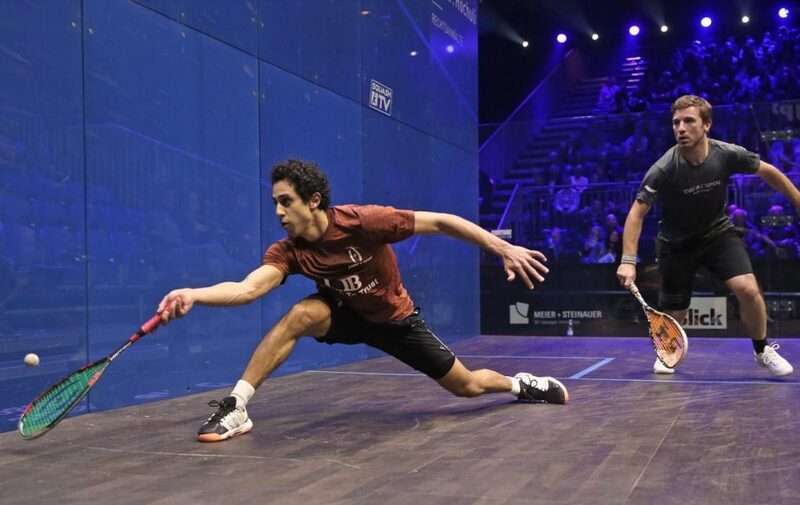 “Tarek has been playing the squash of his life this season, he made three finals this month, and I know how hard it is to back it up after every tournament. 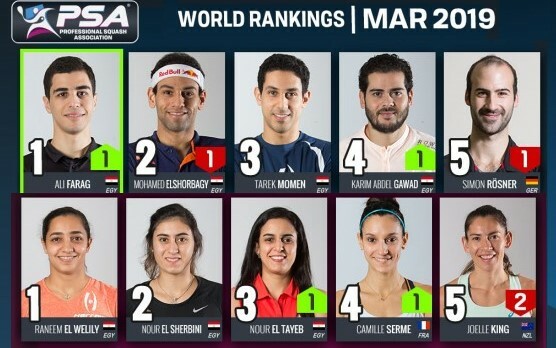 He should be really proud of what he achieved this month. 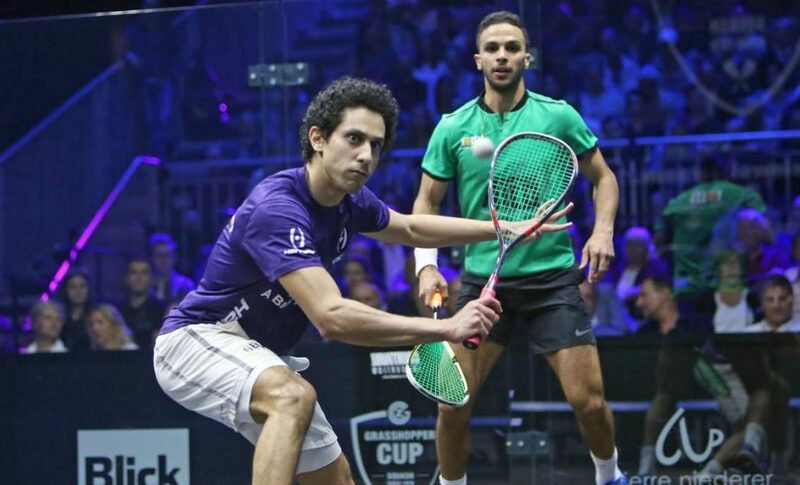 World No.2 Mohamed ElShorbagy and World No.3 Tarek Momen will contest the final of the 2019 Grasshopper Cup, PSA World Tour Gold tournament after they got the better of fellow Egyptians Karim Abdel Gawad and Mohamed Abouelghar in their semi-final fixtures at Zurich’s Halle 622. 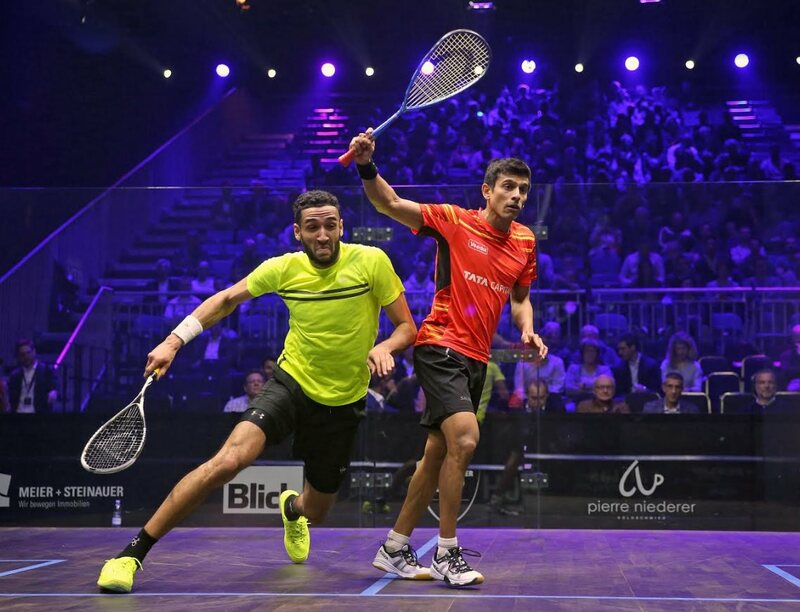 “To get a 3-0 win is just spectacular,” Momen said. 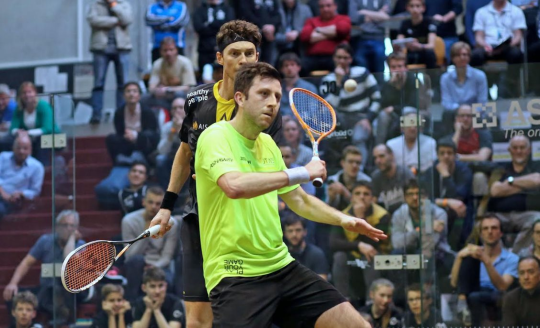 “I know Mohamed had a tough one yesterday, I think mentally more than physically. 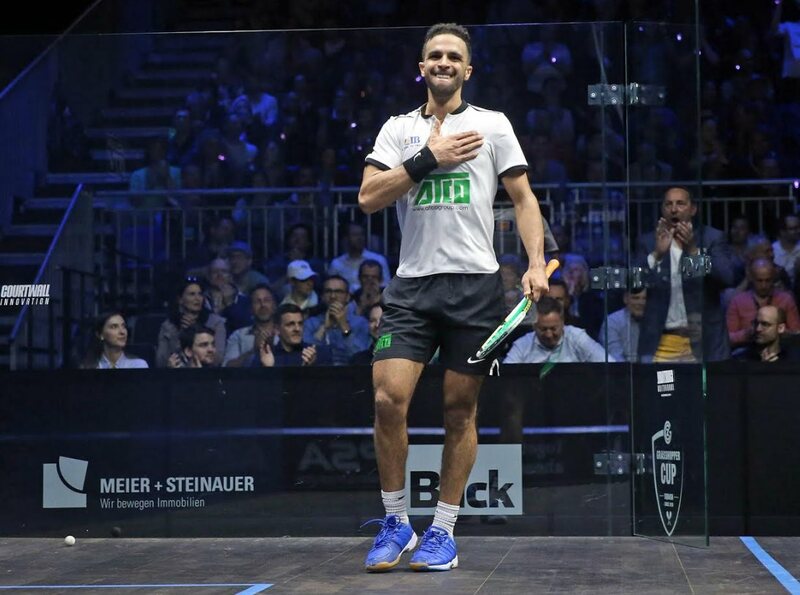 I believe it would have been hard to back it up, I’ve been in this situation a few times, and I know taking out the World No.1 can take a lot out of your mind. 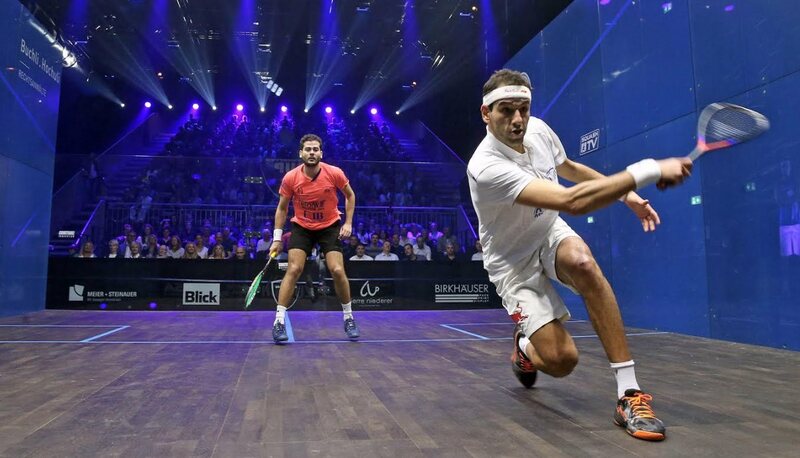 Egypt’s World No.8 Mohamed Abouelghar sent World No.1 and compatriot Ali Farag out of the Grasshopper Cup as Egyptians dominated quarter-finals day at Zurich’s Halle 622. 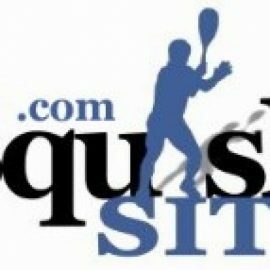 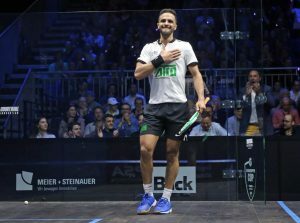 “I tried to play good squash today, I’m really happy it worked, and I’m really happy to win in three against the World No.5 in this tournament,” Gawad said. 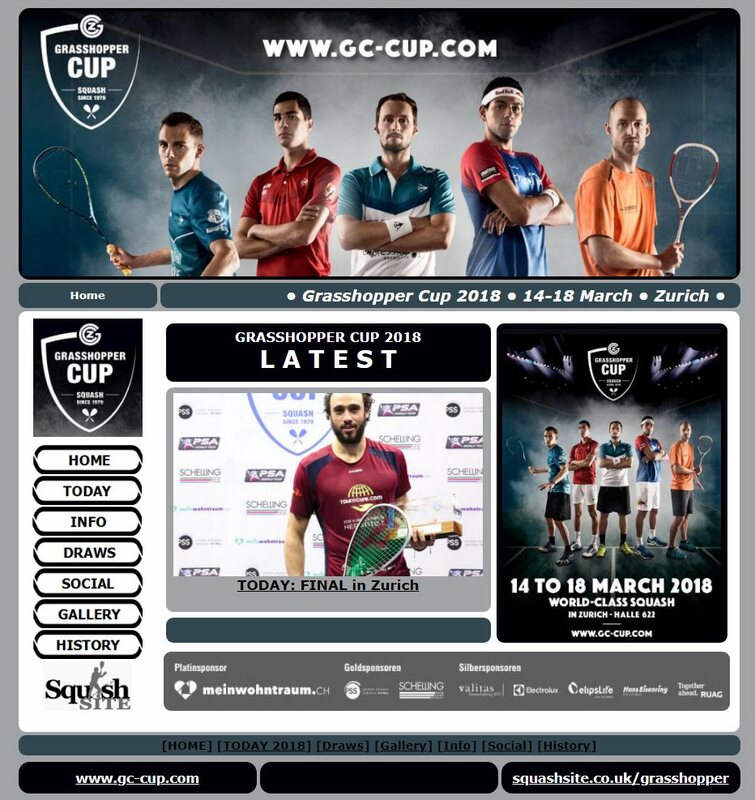 Home hero Nicolas Mueller bowed out of the Grasshopper Cup after falling to Egypt’s Mohamed Abouelghar in straight games inside Zurich’s Halle 622. 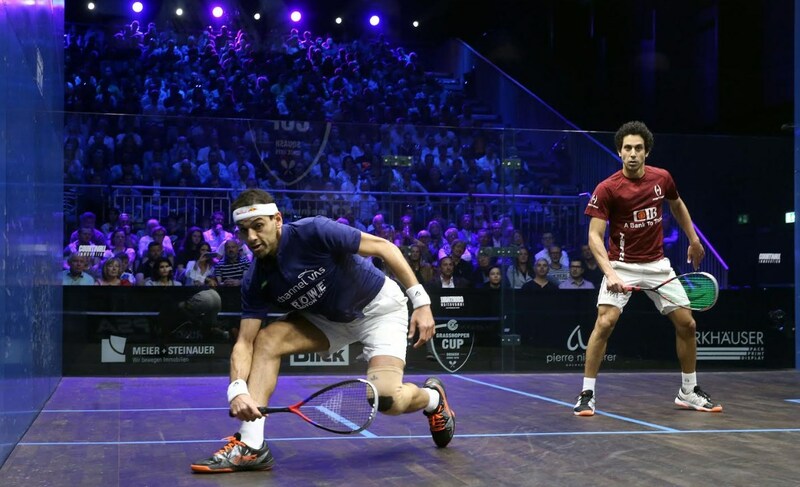 They sent the crowd wild in the opening game after contesting a gladiatorial 100+ shot rally, which totalled over two minutes in length, with Makin prevailing en route to taking the first game. 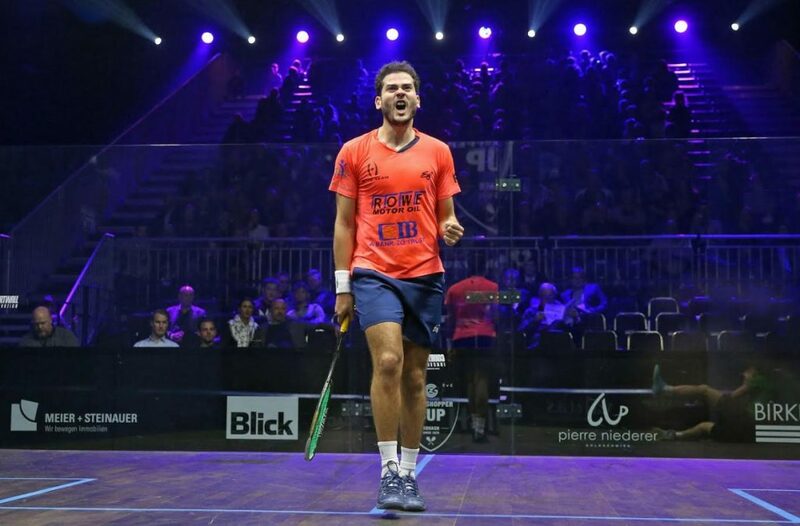 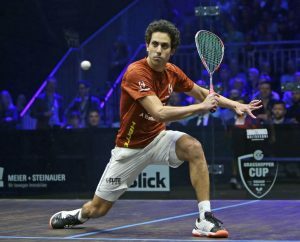 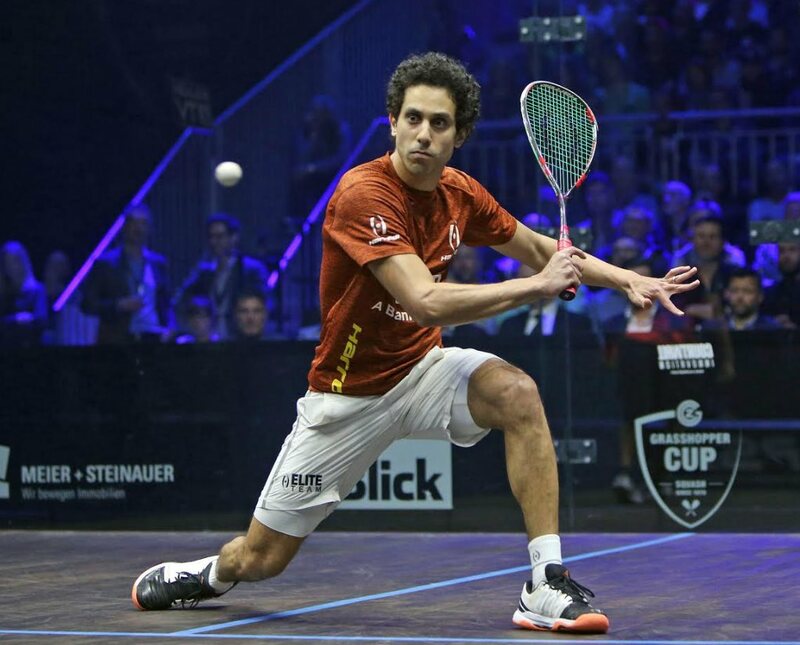 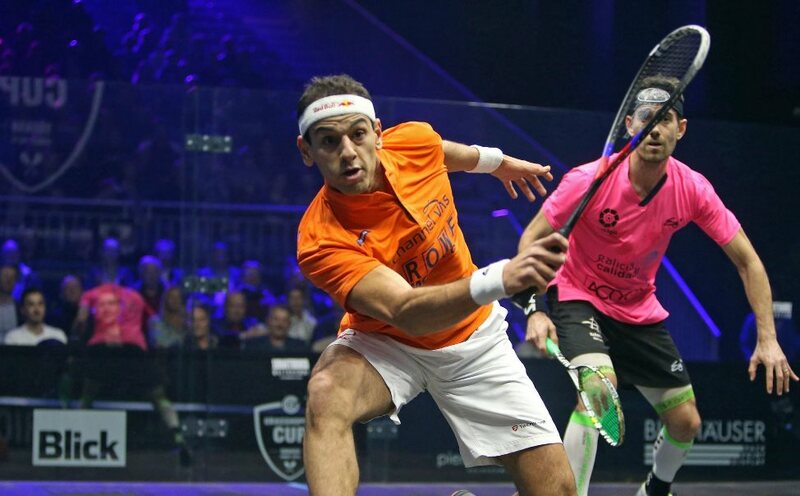 Farag, the 2017 runner-up, has won both of the PSA Tour events he has appeared at in 2019 though – including the PSA World Championships – and he managed to get the better of Makin in the next three games to book his last eight berth. 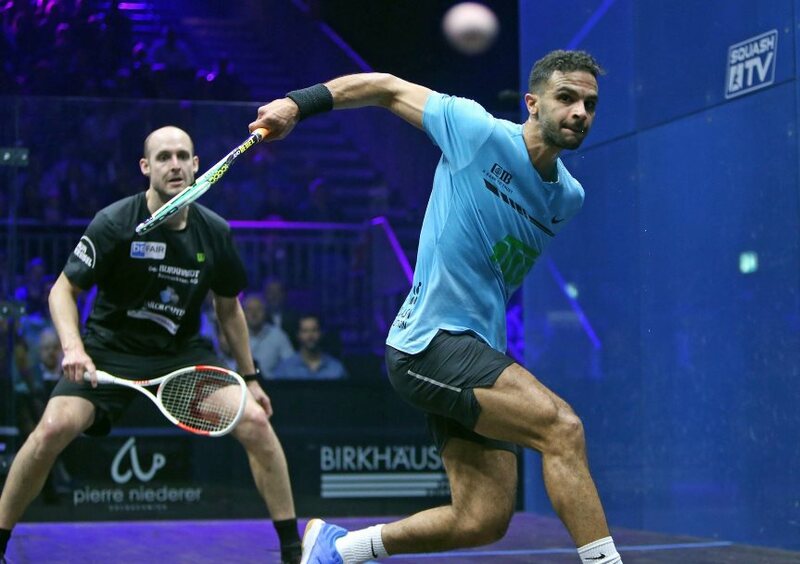 “The second game was obviously a key moment because when you’re coming back from 6-0 down, it’s a big mental hurdle for him to cross,” said Ghosal. 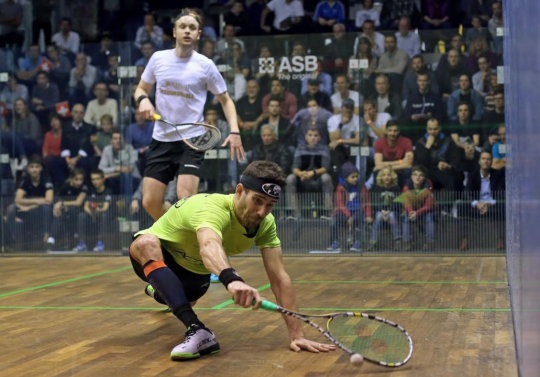 The seeds came into play on day two in Zurich, and while the four matches in the top half of the draw went to seeding, it was nip and tuck for some. 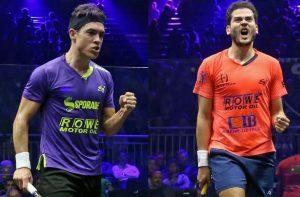 Miguel Rodriguez saved four match balls on his way to beating Zahed Salem in five, and five game expert Karim Abdel Gawad held off Max Lee. Top seed Mohamed ElShorbagy and fourth seed Simon Rosner both eased through in straight games against Borja Golan and Daryl Selby. 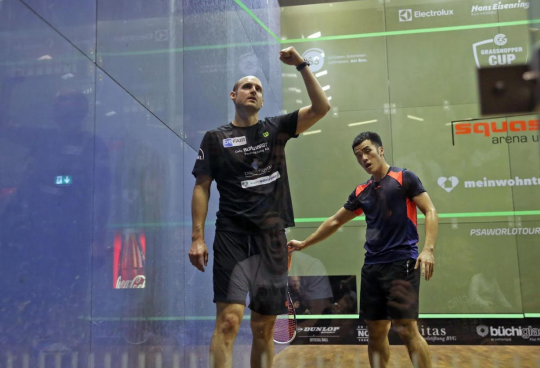 “I knew it was going to be very tough, Zahed has been playing very well and I’ve been struggling a bit,” said Rodriguez afterwards. 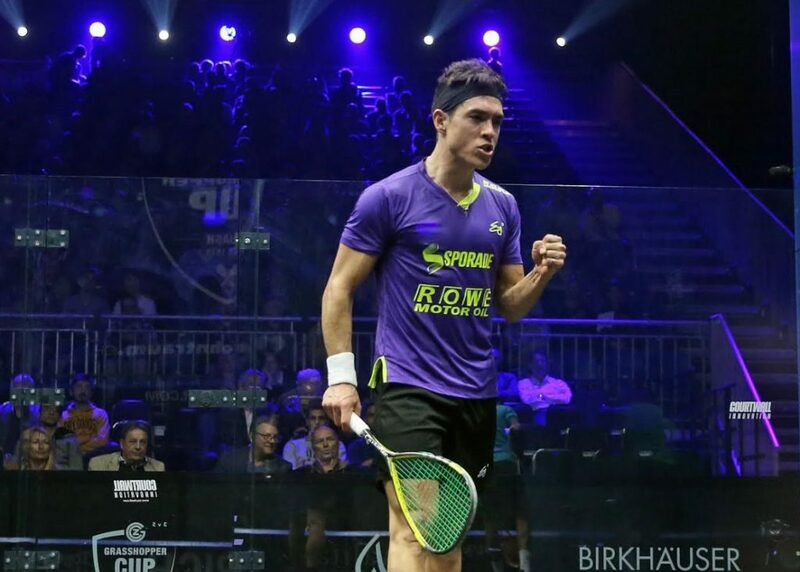 “It’s always difficult coming to play the first match coming from Colombia, but there are no excuses, we fought until the end and I’m pretty happy with the way I fought back in the third game when I was down by those match balls. 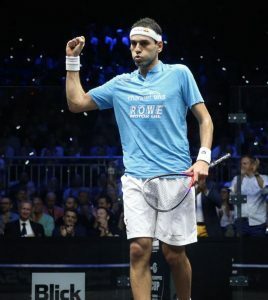 “I think this is the only tournament on the calendar that I haven’t won yet,” said ElShorbagy. 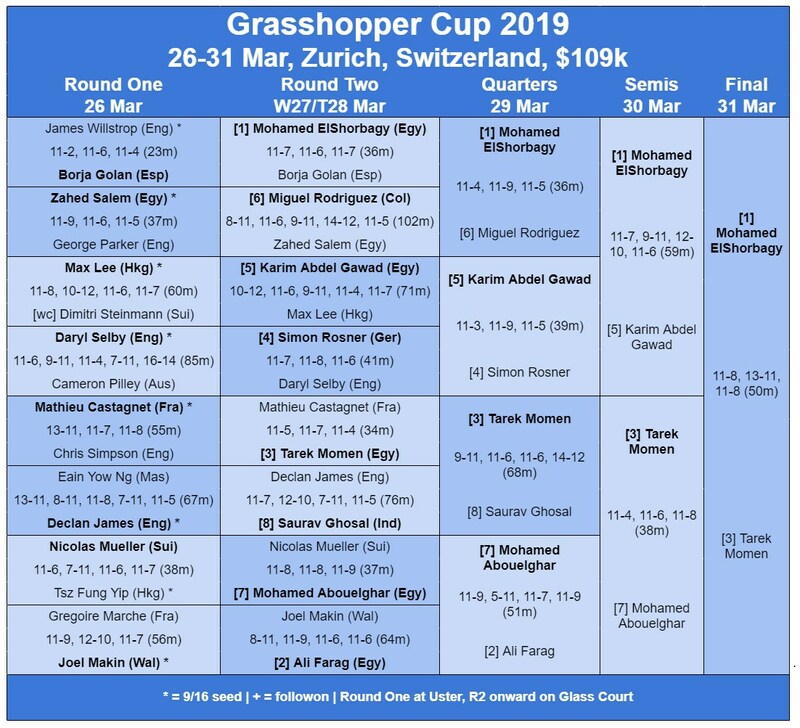 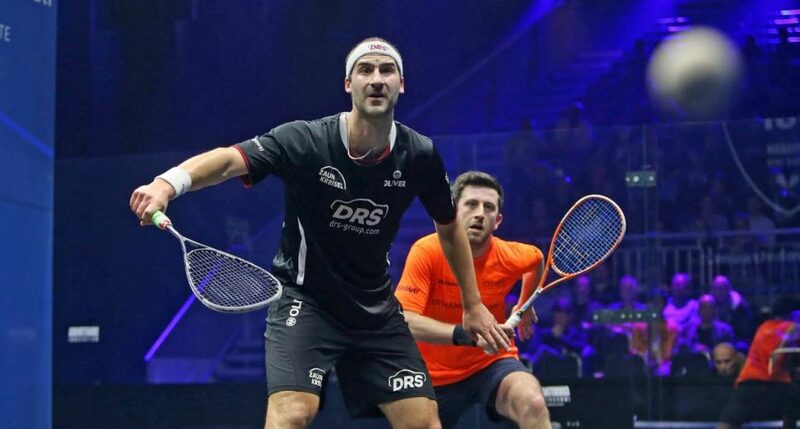 Swiss No.1 Nicolas Mueller got off to a winning start at the 2019 Grasshopper Cup as he overcame Hong Kong’s Tsz Fung Yip by a 3-1 scoreline to reach the second round of the PSA World Tour Gold tournament. 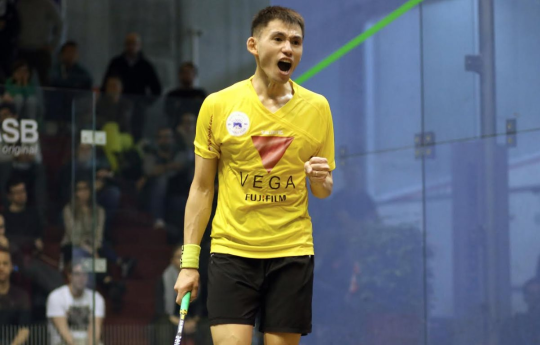 “I know the feeling of having the crowd behind the players because at the Hong Kong Open, the crowd is behind all the Hong Kong players,“ Lee said. 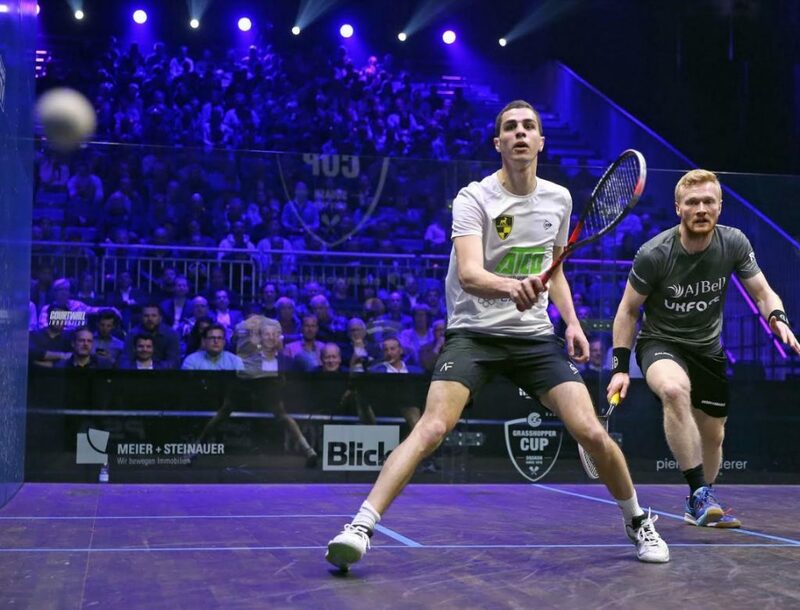 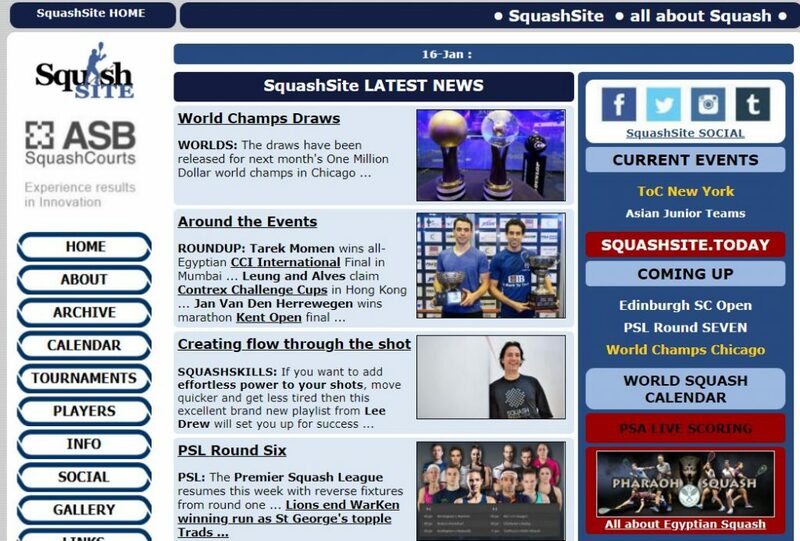 Selby and Pilley are close friends – even co-hosting the squash podcast ‘Comments from the Couch’ together – and they put on an enthralling spectacle which went all the way to five. Both players held three match balls each in the decider, and it was Selby who was able to convert to record an 11-6, 9-11, 11-4, 7-11, 16-14 victory. 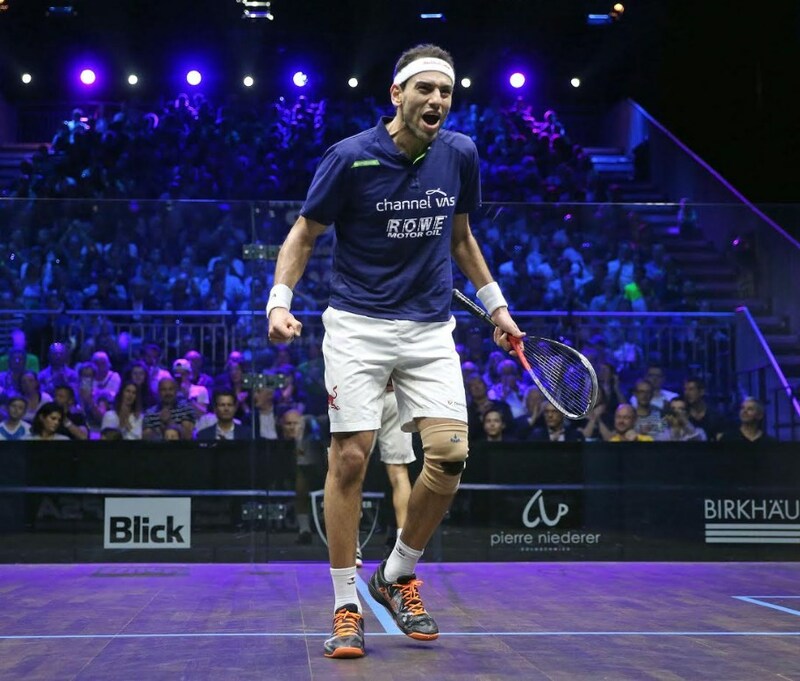 “I think I was a little bit lucky at the end, to be honest,” said Selby. 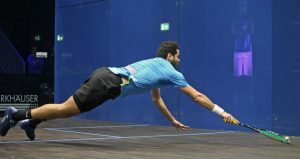 There were also wins for Welshman Joel Makin, England’s Declan James, France’s Mathieu Castagnet and Egypt’s Zahed Salem.